The Toyota Corolla is an enduring best seller at the Toyota of Victoria dealership in Houston for a reason. The 2018 Corolla is a very practical sedan that seats five. The new 2018 version of the Corolla raises the stakes and has lots to be excited about. It has a smooth-driving 1.8L 4 cylinder DOHC engine, and 132 horsepower. This auto will not only give you fluid and comfortable handling, but also delivers an astounding EPA estimated 28 MPG city and 36 MPG highway. Let’s go over the 2018 Corolla in detail. The 2018 Corolla possesses an uncluttered exterior design. It has a bold hexagonal front grille, a trim curve on its body surface, and a compact sloping rear. The Corolla’s LED headlights have an angular and dramatic edge. The 2018 Corolla comes in nine different colors. We think that the Galactic Aqua Mica and Slate Metallic Grey colors are particularly modern and stylish. There are six separate 2018 Corolla packages to consider. If you are looking for value on a standard car model, look no further than the Toyota Corolla L. The L is an exceptional bargain, starting at well under $19,000. 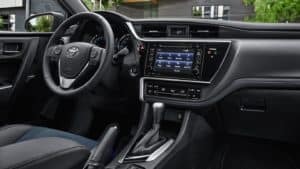 It includes Bluetooth connectivity, Bi-LED headlights, LED daytime running lights, and a great safety system. We’ll talk more about the Corolla’s thorough safety features below. The LE trim will turn heads with its premium trimmed seats, automatic climate control, and remote keyless entry. The LE Eco model has a compelling ability to save you money. The LE Eco’s EPA-estimated 30 MPG city and 40 MPG highway will be a lifesaver year after year at the pump. Its engine has a continuously variable transmission and valvematic technology that delivers great fuel economy. 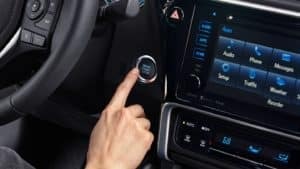 The 2018 XLE contains Corolla’s integrated Entune navigation, entertainment display, and push-button start creating a great driving experience. For those who would like a more sporty ride, the SE Corolla is worth a serious review. It has a brilliant front grille, a spoiler near its rear edge, and a leather-trimmed steering wheel. Add in the six-speed manual transmission and you’re ready to tear up the road. 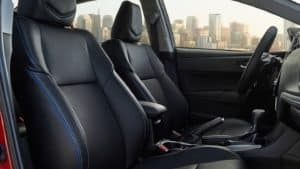 The XSE starts at only a few thousand dollars more than the standard trim, but includes a wealth of premium features that will make everyday driving much more relaxing and convenient. 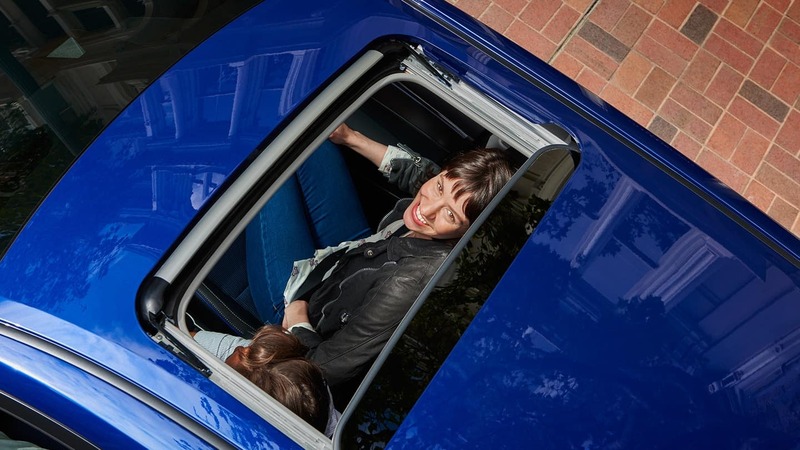 SofTex-trimmed and power adjustable front seats, smart key entry, and a power moonroof are just some of the smart additions to this model that make driving effortless. Toyota takes the safety of its vehicles very seriously. Toyota demonstrates this emphasis by including Toyota Safety Sense P (TSSP) on every Corolla sold. A pre-collision system with pedestrian detection, lane departure alert, dynamic rear cruise control function, and automatic high beams are all included at no extra charge. If that wasn’t enough, take a look at the eight advanced airbags included in the 2018 Corolla. With all this, it’s easy to see why Corolla drivers always have confidence on the road. 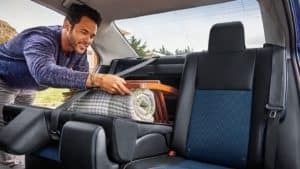 Toyota of Victoria is pleased to bring the versatile Corolla to the people of San Antonio, Port Lavaca, Corpus Christi, and beyond. Our dealer lineup of new and used cars might surprise you. 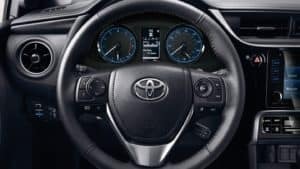 Toyota of Victoria has served our customers for over 20 years by providing outstanding service and our sales team works hard to finance all situations. Take the 2018 Corolla out for a test drive today.